Montana’s energy policies aren’t keeping up with technology or demand Together, we can change that! 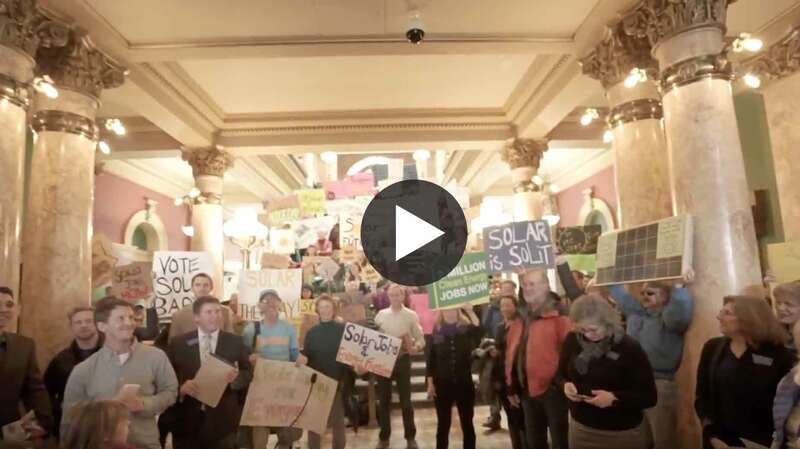 We’ve enlisted Solar Guy to show us how and take our message directly to lawmakers in Helena. Energy independence and self-sufficiency are ingrained in the Montana way of life. Just as we like to harvest our own garden vegetables or meat and fish, we have the power to harvest our own energy. 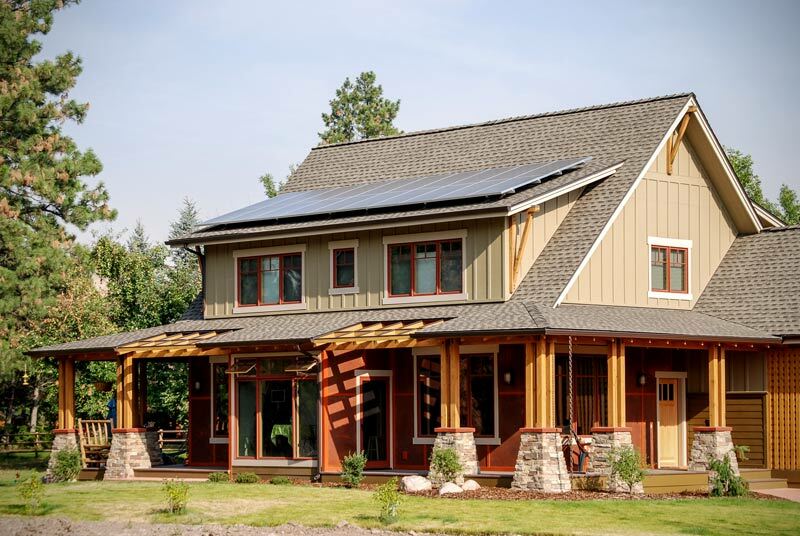 Solar energy is a natural part of the quality of life we enjoy in Montana. For the great outdoors, it means reduced physical, visual, and ecological impacts to better protect our air, rivers, and lands. For our communities, it can lead to the next evolution of an energy economy and the sustainable, good-paying jobs that come from building and installing solar. If Solar is more accessible than ever1. why is Montana falling behind? Because Montana’s energy future is bumping up against antiquated regulations that limit how much solar can be installed. This hurts our ability to generate our own power, limits job growth, and impacts our way of life. We’ve seen this before. From gold, copper, natural gas, coal, and wind energy we’ve always adopted as technology has evolved. Today, we’re entering another phase of this evolution2, as technology and market forces power new energy opportunities that provide more choice and less reliance on corporate monopolies. Yet, to move into the next era requires that we embrace realistic rules and regulations that govern solar use. The good news is that Montanans from Missoula to Glasgow have the power to change our energy landscape for the better. By removing obstacles that restrict energy choices, we’ll create good jobs and protect our way of life by powering more homes and businesses with affordable, homegrown solar energy. This begins by sending a clear message to our legislators in Helena that solar energy is the Montana way and Solar Guy needs your help. Sign up to today and Solar Guy will personally deliver your signature to lawmakers in Helena. In 1924, Marcellus and Joe Jacobs began experimenting with windmills to generate electricity on their family farm outside Vida, Montana. In 1930, the Jacobs Wind Electric Co. opened a factory in Minnesota and produced the most reliable and dependable wind-powered electric generation systems available for several decades. Ninety years later, we’re finally in a position to make their vision a reality: capturing the Montana wind to make our state run. 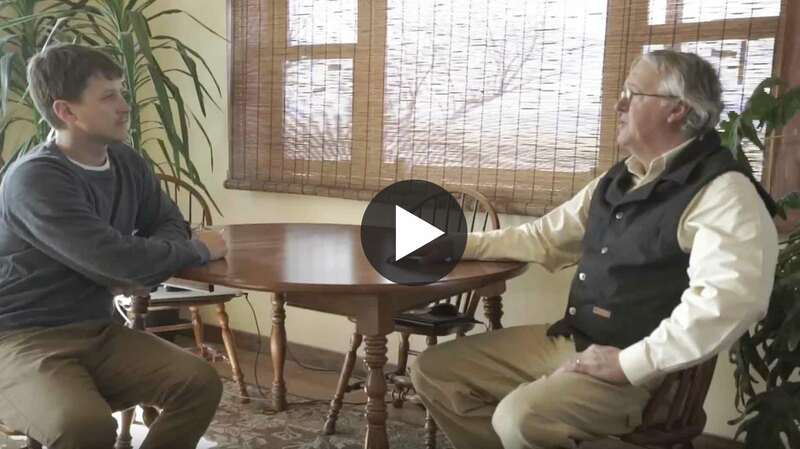 Want to know more about the latest in wind energy technology in Montana? Get the facts and figures from the American Wind Energy Association. What’s the absolute cheapest electric resource available today? Coal? Natural Gas? Wind? Actually, it’s energy efficiency. 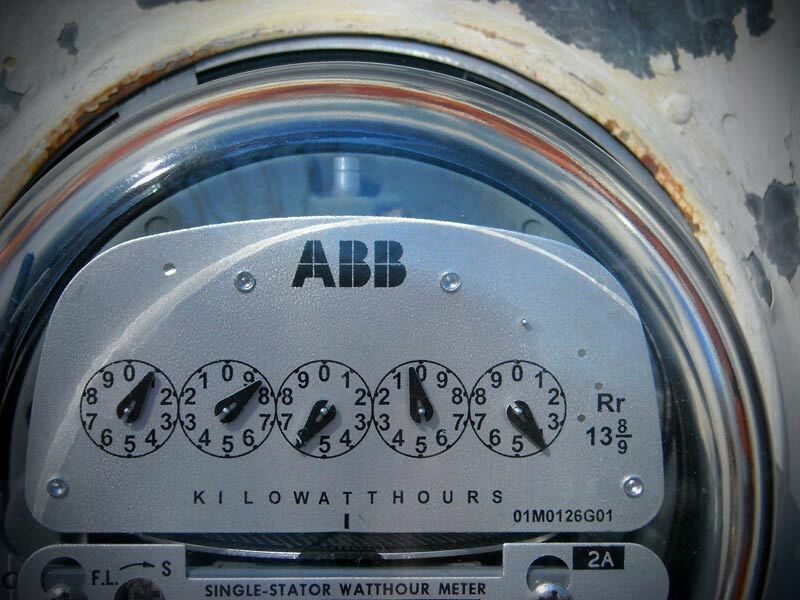 Most residential, industrial, and commercial customers can implement energy efficiency measures at a cost of roughly 2 cents per kilowatt hour, which is less expensive than any available energy source (by a large margin). Energy efficiency is already the second largest resource in the region, but there is still a lot of low-hanging fruit (read: significant bottom line business impacts) to be had. Not only that, but energy efficiency can be achieved almost instantly - it doesn’t involve the time or expense of building large-scale power generation facilities. For almost all energy users, from individuals in their homes to irrigation pumps to large industrial plants, energy efficiency is one of the best capital expenditures available in terms of return on investment. Montana has incredible potential to conserve energy, foster independence, and reduce our energy bills by investing in more energy efficiency technology. Find out more from our friends at NW Energy Coalition. In Montana, we’ve always had an independent streak and rooftop solar is a good fit. It gives us control of our energy costs, takes advantage of Montana’s abundant sunny days and puts electricians, roofers and energy technicians to work across our state. As technology costs drop, solar power is growing fast, delivering clean energy directly to Montana families and businesses. The cost of solar power has dropped by half in the last five years, putting energy self-reliance within reach for Montana homeowners and businesses. Solar only delivers a small slice of Montana’s energy supply, but there’s tremendous untapped potential. Nationwide the number of solar jobs has grown 123% since 2010. That’s an opportunity Montana can’t afford to pass up. You might be thinking, “I wonder what it would be like to have solar panels on MY roof.” We don’t blame you. The best place to start is with Montana Renewable Energy Association’s directory of local Montana solar installers. 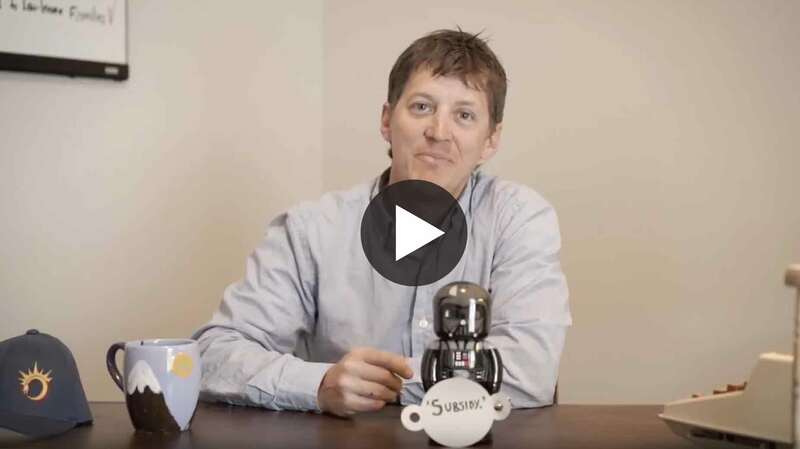 Help Solar Guy send a message to lawmakers in Helena that solar energy is the Montana way.